Point well taken. 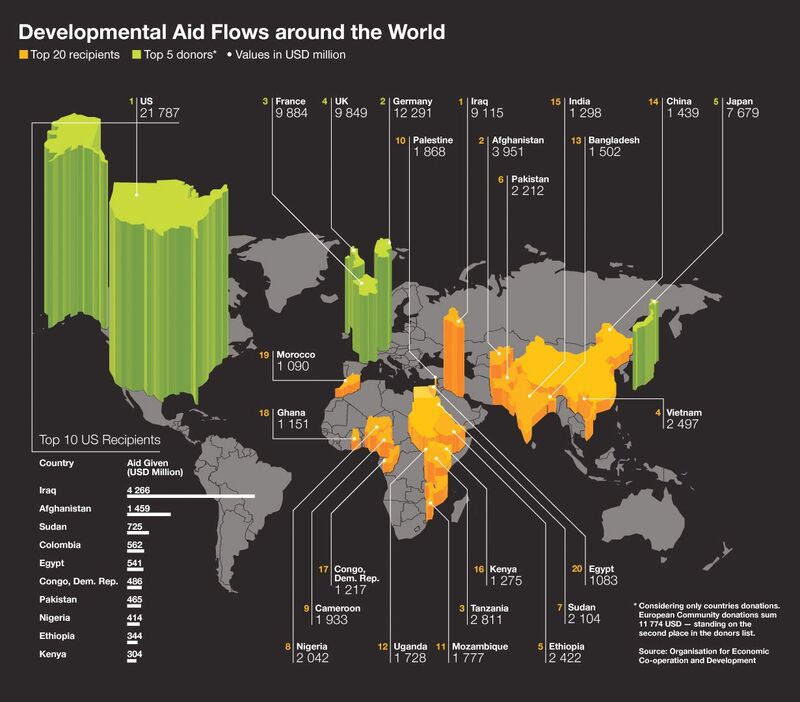 But what also caught my eye is that peaceful and stable Tanzania receives, according to this graphic, more development aid than any at-peace country in the world. Without discounting the basic lacks that lie behind the build up in aid, I have to wonder what that does to an economy and to a society. (Why do I keep having images of Bone Thugs-N-Harmony’s “First of the Month” video, about minute 2:30, flash through my head?) I also have to wonder how much of that money goes to buy these NGO-logo-emblazoned Landcruisers tooling around Dar es Salaam and depositing people at fancy hotels for overpriced drinks. Anyone know where I can get copies of Dead Aid and The White Man’s Burden in TZ?